Today, March 2, is Dr. Seuss's birthday! So this week's storytime was all about Dr. Seuss. Now if you've tried to do a preschool Seuss storytime, you know it's not as easy as it sounds. Many of Seuss's books are way too long for preschoolers, so this calls for a little creativity. Luckily, I have the fabulous Miss T who put together this storytime and she had the fabulous Mel of Mel's Desk who posted about her Dr. Seuss baby storytime! Memory Box: This week's Memory Box item is a toothbrush from the book In a People House. 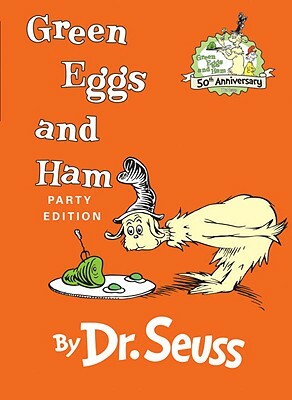 Book: Green Eggs and Ham by Dr. Seuss. Following Mel's advice, we only read the beginning part and the ending part. Song: We sang "Happy Birthday" to Dr. Seuss, of course!! Look! See! I can do three. I’m not going to stop; I’ll put four apples on top. I’m not through; I can get five apples on top. Can you? I am so good, I will not stop, six, seven eight apples on top. Not one will I drop, I have nine apples on top. Nine is very good. But then… Come on and we will make it ten! Felt Activity: Color hats. I passed out one felt hat to each child and invited them up to put their hat on the board when I called their color. An activity like this is a simple way to get kids involved with your storytime and to reinforce concepts like colors.